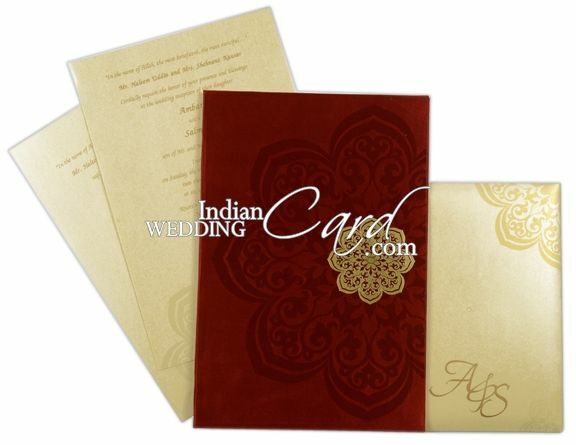 D-5632, Red Color, Shimmery Finish Paper, Hindu Cards, Designer Multifaith Invitations. 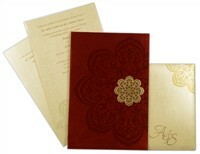 Red Satin cloth for thick hardbound card. 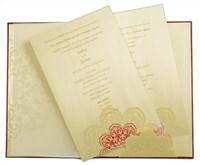 Inside Interleaf, pocket, 2 inserts and mailing box envelope in cream shimmer paper (250gsm). 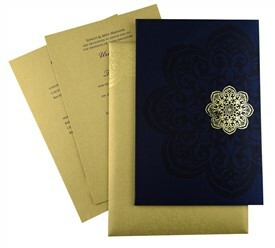 Tracing paper overlay on inside of card. 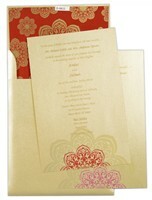 Red paper lining on inside of envelope.